This month, Ananda Leeke celebrates her 10th anniversary as a blogger. Leeke entered the world of blogging at the request of her book editor to overcome a serious case of writer’s block during her novel writing journey. Two years later, she gave birth to Love’s Troubadours – Karma: Book One (2007), a Lorraine Hansberry-inspired novel perfect for honoring Black History Month and the many ways people love each other in their daily lives. She discovered her passion for blogging and social media while marketing and building an audience for Love’s Troubadours, and later decided to blog about her creative journey as a lawyer-turned artist, author, coach, yoga teacher, and innerpreneur. 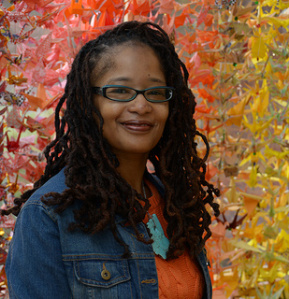 Her blog posts launched the publication of her next book, That Which Awakens Me: A Creative Woman’s Poetic Memoir of Self-Discovery (2009). By the time That Which Awakens Me was published, she started attending women’s social media conferences including Feminism 2.0, BlogHer, and Blogalicious. At each conference, she walked away with a deeper appreciation for the power and presence of women in social media and technology. Her appreciation laid the foundation for the Digital Sisterhood Network and her latest book, Digital Sisterhood: A Memoir of Fierce Living Online (2013). By the time That Which Awakens Me was published, she started attending women’s social media conferences including Feminism 2.0, BlogHer, and Blogalicious. At each conference, she walked away with a deeper appreciation for the power and presence of women in social media and technology. 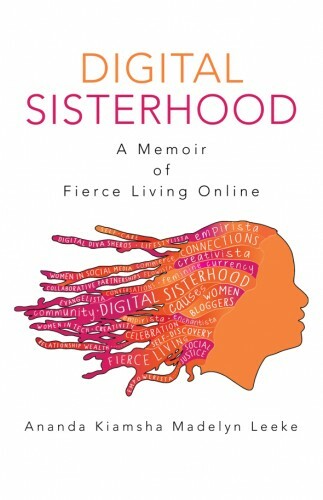 Her appreciation laid the foundation for the Digital Sisterhood Network and her latest book, Digital Sisterhood: A Memoir of Fierce Living Online (2013). Love’s Troubadours – Karma: Book One tells the story of Karma Francois, a thirtysomething Oakland-born BoHo B.A.P. (Bohemian Black American Princess) with Louisiana roots and urban debutante flair. The novel begins with Karma’s life in an uproar. Her relationships and the museum curator career that she struggled to form in New York City have crumbled, leaving no viable options to rebuild. Relocating to Washington, DC, Karma struggles with denial, depression, and debt. A lack of full-time employment opportunities forces her to craft a gypsy existence as a Jill of Many Trades: yoga teacher, art consultant, and freelance curator at Howard University Gallery of Art. Unable and unwilling to appreciate these jobs as gifts, she wallows in a pool of lost identity-and doesn’t see a way to keep from drowning. When she looks in the mirror, Karma sees a woman whose choices have dishonored her true character. Now, for the first time in her life, Karma must learn to see herself for who she really is. Visit www.lovestroubadours.com. Her books are available on Amazon: www.amazon.com/author/anandaleeke. The best way to describe Ananda Kiamsha Madelyn Leeke is with a six-word memoir. Yoga + Creativity + Internet Geek = Ananda Leeke. Leeke is a lawyer turned “Jill of many trades:” innerpreneur, author, artist, coach, and yoga teacher. Currently, she serves as a blogger ambassador for AARP, Macy’s Heart of Haiti Campaign, and Maiden Nation. She is the founder of the Digital Sisterhood Network and a frequent speaker at conferences sponsored by Blogalicious, BlogHer, Howard University, and Spelman College. Black Enterprise named her as one of the Black Women in Tech You Should Follow on Twitter in 2011. In 2014, the White House selected her to participate as a social media leader for the State of the Union and French Arrival Ceremony for French President Francois Hollande. She lives in Washington, DC. Visit www.anandaleeke.com. Thanks BeBlogalicious.com for the feature and support!